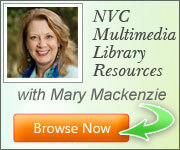 Mary Mackenzie, Executive Director and CNVC Certified Trainer for Peace Workshop International, is happy to offer individual mentoring/coaching for people who would like to enhance their Nonviolent Communication training. Anyone, no matter your current level of Nonviolent Communication training will gain skills to move to the next level of your consciousness through individual sessions. Mentoring/Coaching sessions are scheduled on an individual basis and may be conducted on the phone or in person. A lot of flexibility is offered to accommodate individual needs. For more information and to register, contact Mary Mackenzie at (562) 856-9417.